Please reserve me one ticket for the Joni Mitchell event. Price of ticket £3. Could you please confirm receipt of this email. Please could you reserve one ticket for this event. Thank you. Please could I reserve one ticket for this event? Please reserve me a ticket for the ‘Joni Mitchell, critical listening with Ruth Charnock’ event. 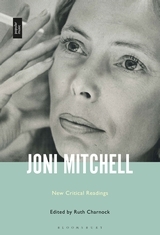 Would you reserve a ticket for me for 14 March- Joni Mitchell critical listening event with Ruth Charnock.